There are numerous things that can cause discoloration on a person’s skin. Such causes include liver spots, acne scars, hyper-pigmentation and more. There are various products on the market that are designed to reduce the appearance of one or more of these causes but SkinBright works with all of them. This product uses a combination of powerful ingredients available right from nature. The skin lightening substance known as Apha-Arbutin comes from the Bearberry Tree. This is a great alternative to the chemical substitutes used for the same effect but that also have potential harmful side effects because of their toxic substances. The other element used in this product is Kojic Acid. This is substance that naturally occurs during the production of Sake, a wine from Japan. It brightens the skin and removes various types of skin discolorations while being completely safe to use. There are numerous other ingredients aside from those already mentioned that assist with the skin lightening effect. Aloe Vera is used to exfoliate the skin and heal the cells. It also reduces any skin irritation that may be derived from the skin condition. Ascorbic Acid is a form of vitamin C and it is a very strong anti-oxidant. While it may help with anti-aging, it protects the skin in the longer term from damage caused by free radicals. Hemp Oil fights and heals inflammation that accompanies various skin conditions such as acne. This in conjunction with the aloe exfoliates and heals the skin. Lemon Extract is often used as an exfoliating agent but it also helps the body to get rid of extra dead skin cells throughout the brightening process. As a result, the skin can become healthier at a faster rate. These substances are only some of the many. 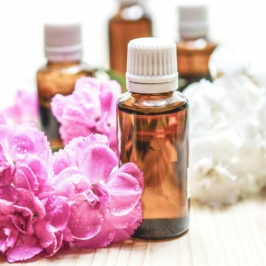 Other ingredients that work to heal and brighten the skin include Allantoin, Jojoba Oil, Passion Flower Extract, Sunflower Oil, Vitamin A Palminate, and Willow Bark Extract. All of these work together in this skin brightener to rejuvenate the body’s surface. One might think that eliminating the dark spots on the skin would offer enough benefits but there are more that come from using this skin lightener. 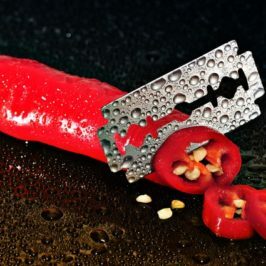 Scars that have come from injuries may be lightened. Stretch marks can be reduced and eliminated as well by using Skinbright cream. The list goes on. 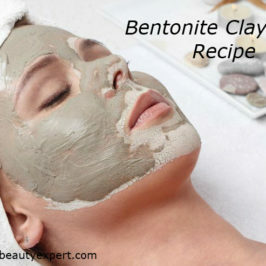 The product can be used as a part of the regular daily skin care routine. Individuals who tend to spend time in the sunlight are recommended to use sun protective agents as well, with at least SPF15. Lemon extract tends to make the skin more sensitive to the sunlight, therefore additional protection may be required. This agent is not recommended for children under the age of 13. It is meant for adult use. 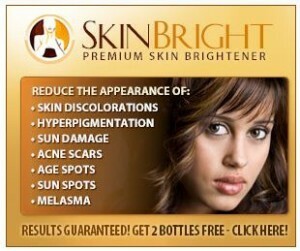 SkinBright has been deemed as safe to use on all skin types and for any ethnicity. The solution has been created to be very gentle on the skin and suitable for those with sensitive skin. However, there are rare cases when there may be slight allergic reactions. For this reason, individuals are encouraged to only use a small amount in a conspicuous area first. It is usually possible to tell how effective the product is by the guarantee that is offered. SkinBright is backed by a 30 day guarantee. This means that if a person does not obtain the results offered, they receive their money back without any risk. This refund applies even for when the product has been completely used, as long as it is within the 30 days after purchase.